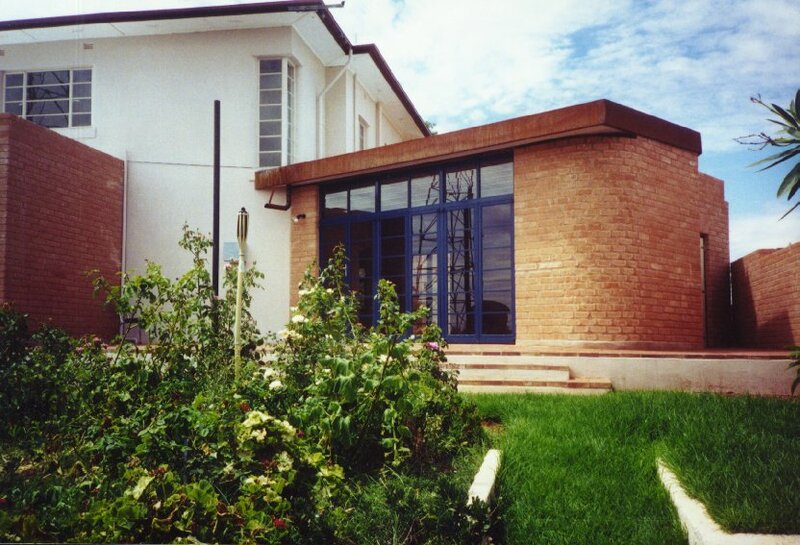 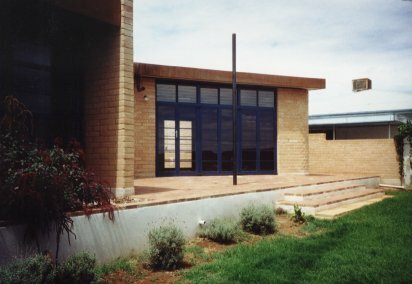 View of extensions to the an existing building and entrance to a courtyard. 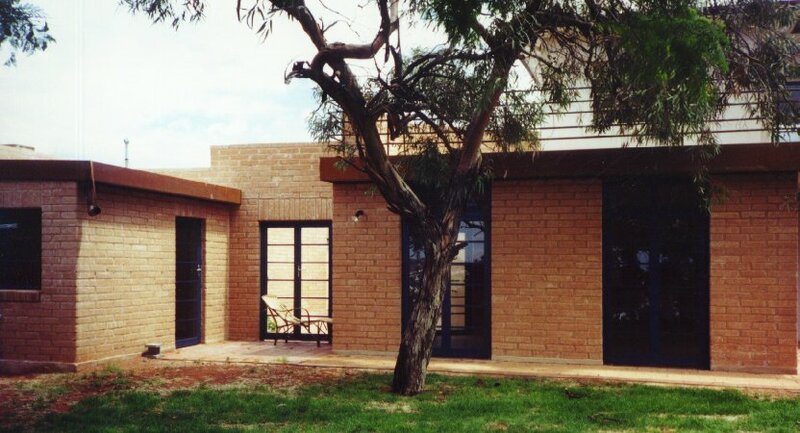 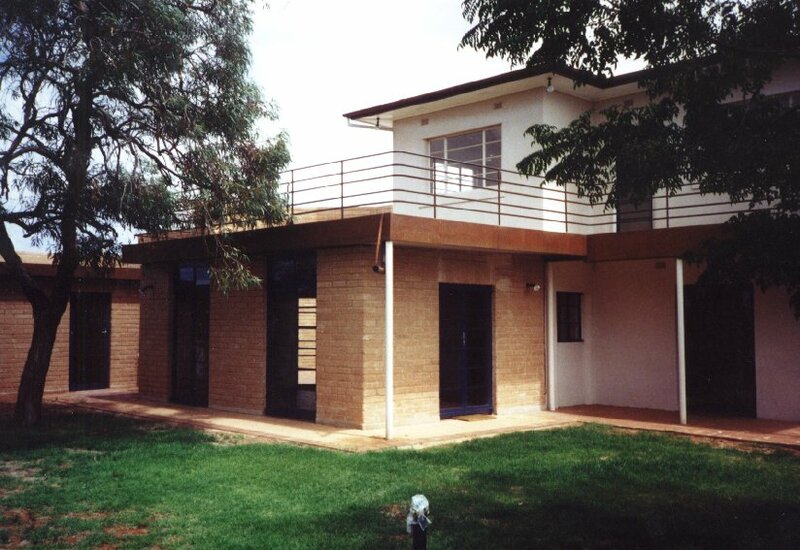 The Stabilised Pressed Earth Bricks were supplied by a Wilcannia Local Aboriginal Enterprise using Amcer equipment. Entrance, showing curved walls, steel framed doors and windows, with high-level adjustable louvres to facillitate cooling on summer nights. North facing windows and steel post for proposed pergola..
South-East view, showing load bearing brick work supporting balcony slab.